With their tenets for daily living of truthfulness, compassion, and tolerance, thousands of Falun Gong practitioners from around the world, in yellow T-shirts emblazoned with “Falun Dafa is Good,” take to the streets of major U.S. cities a couple of days each year. Rallies and parades are held, politicians contacted, and flyers are handed out to help raise public awareness and consciousness. These efforts started when the Chinese Communist Party began persecuting 100 million Falun Gong practitioners on July 20, 1999. Not too long ago, the response to this type of persecution had the potential to result in trade sanctions, robust talks in the United Nations human rights committee, support on Capital Hill, and major media coverage. The situation certainly warrants it. Yet many countries have found they are in an economic dance with China, which may cause major players to sit on the sidelines. For the last 16 years, tireless efforts have been made to educate and move the hearts of the public. These have been carried out by the individual efforts by thousands upon thousands of Falun Gong practitioners, both inside and outside of China, as well as a handful of investigators who have compiled books or created grassroots documentaries. For the last 16 years, Falun Gong practitioners have been working tirelessly to educate the public on the atrocities perpetrated by the Chinese regime. Such efforts have been rewarded in the past. Modern history has shown that nonviolent means have resulted in what had appeared to be the impossible: establishing the independence of India in 1947, and the toppling of communism—the Berlin Wall in 1987, and USSR (communist Russia) in 1991. 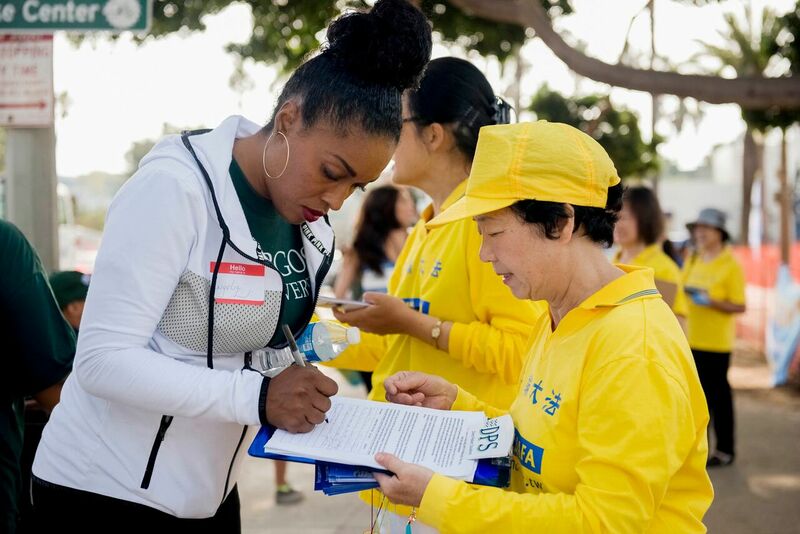 The most recent grassroots events organized by Falun Gong practitioners was held in Los Angeles and its surrounding communities on Oct. 14 through 16, 2015. With permit in hand for public assembly, the yellow T-shirt wearers delivered their message—specifically that the persecution of Falun Gong in China is severe, massive, and includes the Communist Party sanctioning of organ transplants from live Falun Gong practitioners. This business is known as Transplant Tourism. Transplant Tourism is murder on demand for an organ purchased by someone who then travels to China for a transplant operation. It is a big money maker for the Chinese military and for private hospitals, explains investigators and Nobel Prize nominees, David Matas, an international human rights attorney, and David Kilgour, the former Canadian secretary of state for Asia-Pacific. Evidence about forced organ harvesting in China on prisoners of conscience has mounted ever since Matas and Kilgour published their first investigative report in 2006. They concluded that the vast majority of the victim pool comes not from death row prisoners but from prisoners of conscience—primarily Falun Gong, who are also the largest group in China’s prison systems. Dr. Dana Churchill, one of the founding board members of Doctors Against Forced Organ Harvesting (DAFOH), a not for profit organization based in Washington, D.C., spoke at the rallies in Los Angeles and Santa Monica beach in October. “The world has never seen more horrific and barbaric crime as the Chinese Communist Party has committed against Falun Gong. But, not just Falun Gong, the Uyghurs, Christians, [and] Tibetans have all been organ harvested while they are alive, unwilling, and between 20 and 40 years old—the prime of their life,” said Churchill, a naturopathic physician from Pasadena, Calif. The world has never seen more horrific and barbaric crime as the Chinese Communist Party has committed against Falun Gong. Recent released findings on the number murdered go far beyond the original estimates of various investigators and organizations. “With Falun Gong, approximately 65,000 have been murdered, and that is according to DAFOH, our organization,” Churchill said. 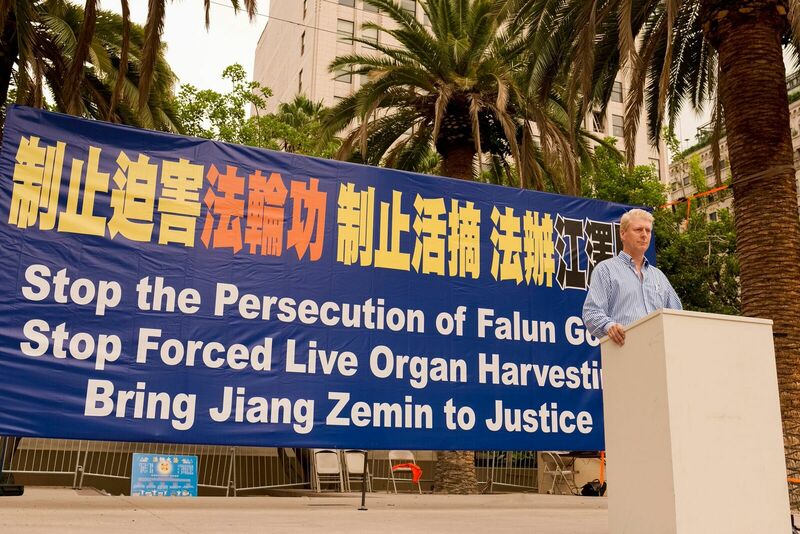 The messages of Falun Gong practitioners rallying in U.S. parks and streets are straight forward in their speeches, flyers, and banners, which include a call for bringing Jiang Zemin to justice and for mainland Chinese to withdrawal their membership from the CCP. “We want the public to know that organ harvesting is happening in China, and we want it to stop,” said Judy Feng from New Jersey, who offered a flyer and petitions to people on the Santa Monica walkway on Oct. 16, 2015. She was one of several hundred Falun Gong practitioners wearing a yellow T-shirt that day who gathered there. She stood yards away from the rally where Churchill spoke and where dozens of people demonstrated Falun Gong’s gentle exercises. For any grassroots movement to be successful, it needs the public to be more than informed. They need to be moved and so become active in supporting the humanitarian cause. Matas and Kilgours’s work became a 2015 Peabody Award-wining documentary film, “Human Harvest” or “Davids and Goliath,” in 2014. The trailer is available for viewing at HumanHarvestMovie.com. Ethan Gutmann, an investigative reporter specializing in China, found evidence that the practice of killing political dissidents by removing their organs began before 1999. He claims that the CCP then had a ready supply of organs once Falun Gong practitioners flooded the Chinese detention system after Falun Gong was banned. It appears the public is listening to the Falun Gong activists. In 2013, DAFOH secured 1.5 million signatures from concerned persons in 50 countries. The Internet and paper petition called for the United Nations Commissioner on Human Rights to take action to end forced organ harvesting and the persecution of Falun Gong. Despite this public expression, the United Nations has failed to respond. One of DAFOH’s current projects is to collect additional signatures on an Internet petition located on their website DAFOH.org. 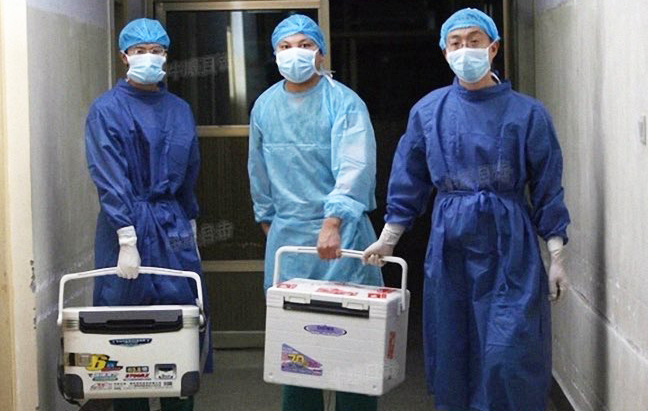 After learning about transplant tourism in China, others have propelled legislative action. Israel banned the sale and brokerage of organs in their country, and cut off payment of health insurance for transplants in China, states the WOIPFG website. The Australian Health Ministry ended the training programs in organ transplant techniques for Chinese doctors and joint research with China in this field. In 2006, the European Parliament response was to pass a resolution condemning the persecution of Falun Gong practitioners and expressing concern over reports of forced organ harvesting. Eight years later, a similar type of resolution died in the 2014 U.S. House of Representatives because it was never scheduled for a vote even with a record-breaking number of representative co-sponsors. Another version, House Resolution 343 has been proposed for 2015 session but may have the same fate if something doesn’t shift. Until the persecution and transplant tourism in China end, Falun Gong practitioners vow to keep taking their message to the streets. Falun Gong was relatively unknown to the West until the persecution began. It is a self-cultivation practice of the mind and body, rooted in the Buddha school. It sets high moral standards to live by, and offers a set of exercises and meditation, states the Falun Dafa Information Center website. The persecution began, in part, due to the immense popularity of Falun Gong, with the number of practitioners outstripping that of the Communist Party. Jiang Zemin, the Communist Party leader at the time, became jealous, according to the Falun Dafa Information Center website. He created the 6-10 Office to oversee the eradication of Falun Gong. This office penetrates all aspects of Chinese society and is known for its brutality and torture. “The scale and scope of abuses taking place make it possibly the largest religious persecution in the world,” said the Center’s website.